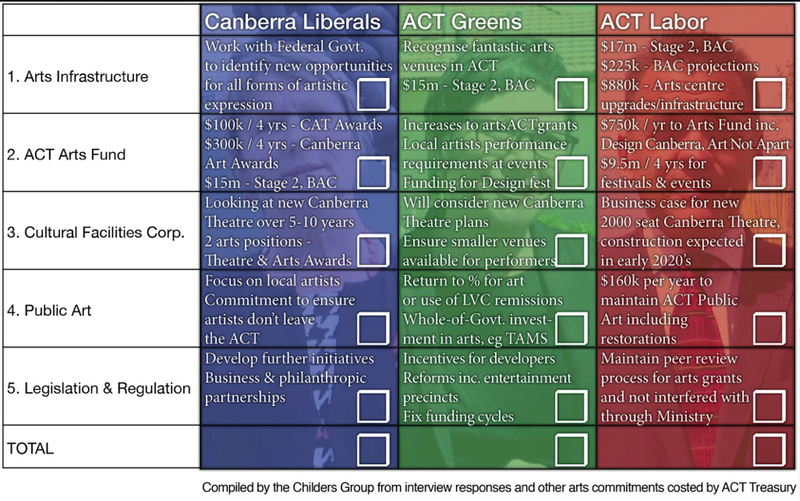 ACT Election arts & culture policy videos online now! The Childers Group coordinator, Jack Lloyd, posed 5 questions to 3 of the potential candidates for the Arts portfolio in the ACT. See their responses on our public Facebook page. It’s great to see arts and culture being thought about, discussed, passionately defended, and ideas flying about in social media and in the news. Go to www.facebook.com/ChildersGroup/ to join the discussion, and you can read a summary below.